The newest members of the legal workplace are Generation Y — or the Millennial Generation. This generational cohort is significantly larger than Gen X, and even slightly larger than the Baby Boom generation. Generation Y was born between 1981 and 2001, and its members are currently 13 to 33 years old. In contrast to Gen X, the Millennials are a very wanted generation — child rearing came roaring back in style in the mid-1980s and “helicopter parents,” who remain deeply involved in every aspect of their children’s lives well into adulthood represent the new parenting norm. The Millennials grew up in a world that was perceived as dangerous (even before external events like the attacks of September 11th) ​and were closely supervised and sheltered by their parents growing up. Fearing damage to their children’s self-esteem, the helicopter parents became advocates at school and at work, and even at play (where the Millennial stereotype is of sports teams that weren’t allowed to keep score, so no one would feel like a loser). Like Gen X, Gen Y is technically savvy, but they’re digital natives. They were born into an interconnected world, and take it for granted that people can, and should, be connected at all times. 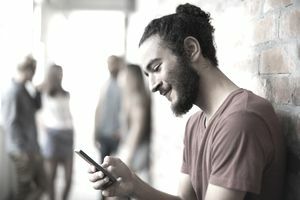 The Millennials understand how to leverage their abilities with internet technology and social media to provide value to their parents and older members of the workplace, but face conflicts when their “always on” culture isn’t appreciated or is taken advantage of by bosses who expect responses to work email at all hours of the day and night. Millennials grew up in relatively comfortable economic times, but — as it turns out — much of the boom was built on easy credit, as became apparent in the Great Recession that started in 2008. Student loan debt has continued to skyrocket, and the average indebted law school graduate now owes more than $100,000 in non-dischargeable student loan debt. Law grads are struggling to find entry-level positions, and even to pass the bar exam. Generation Y expects to be listened to. Having grown up with doting parents and a culture where everyone gets a trophy, they expect their ideas to be taken seriously, even if they lack experience. This expectation can cause friction with more traditional employers (as one Boomer boss commented in a presentation, “I already give them a paycheck! Why do I have to give them a cookie, too?”). Like Gen X, the Millennials tend to dislike rigid rules in the workplace and want the flexibility to work when, and where, they can be most productive. Interestingly, most Millennials don’t aspire to work completely remotely, and they say they enjoy coming into the office for mentoring opportunities and to see co-workers. But they see nothing wrong with taking off early and finishing important tasks up at home at night or on the weekends. In an always-connected world, Millennial attorneys question the need for rigid office hours to be productive. Despite facing a tough economy, Millennials are resilient and optimistic and believe that they can do great things and change the world. What some view as an entitlement, others see as healthy confidence and a willingness to advocate for firmly-held beliefs.